One down, eleven to go! Ha. Random cat picture because why not. Fail-ish? We spent a bit of money on home improvement stuff, I booked a birthday celebration thing I've been wanting to do for years, I forgot about a product I have on automatic subscription from Dermstore and I bought 19 e-books but they were on sale and... this is why I have a problem. I also let my kindle unlimited membership continue instead of cancelling because I do read a lot of books on it. So even though we failed, I totally feel like I passed because other than that stuff, there was not a single unnecessary expense, no eating out, no impulse shopping. This is huge and I am way proud of us. - Meal plan and stick to grocery budget. Fail-ish? Ugh, so much rage! We meal planned and it was fabulous, no eating out (okay, KC got one pizza and I went out to dinner with my friends once but other than that, nothing, and considering we were eating out 2-3 times a week before, that's awesome) but we still went over the stupid bloody grocery budget. RAGE. In progress but definite improvement. As I mentioned the other day, the clarisonic is definitely helping though it's not a magical fix and I'm still getting way more pimples in places I never got them before so this is still in progress. - Paint my nails twice. Fail.This was the easiest one haha and I only did it once. Oops. - Catch up on blogs and emails. Fail. Didn't even make a dent. - Read netgalley books older than 3 months. Pass! Yay me. Except, as of yesterday, I have one older than 3 months, rage. I'm still counting it as a pass though because it's my only one. - Gym 3 times a week. Fail. I don't want to talk about it. - No new library books & read the ones I have - I would like to do a completely library free month soon, but first I need to read all the books I have at home. I have 2 books on hold and I've been on hold for them forever, so if they come in, I will get them, but that's it. Read the books I have by the end of the month or return them unread. - Meal plan and stick to grocery budget. This will likely be a goal every single month until I have it down pat. - Read all netgalley books with published dates that have passed. I want to catch up so that I am reading books right as they are published, but first I need to clear my back log. - Try to limit book purchases to not at the library books only. I have a hard time saying no to deals, especially if the library doesn't have them. So this month, my goal is to allow myself purchases but only if the library does not have them. - Limit eating out/bad (but awesome) food to already planned events. It's birthday month, so I have a few things planned and I am going to do them and have fun, but I need to eat as healthy as possible homemade meals for the rest of the month. Except on my actual birthday, because.. birthday. Also, just a quick reminder to anyone who wants to link up with us - tomorrow is the next What's New With You link up. Apologies for the late notice, I am not on the ball this week/month/year. So, January was a bit of a flop goal wise for me, but as usual I'm not that mad about it (except for the grocery budget). Here's hoping February will be better! Anyone have any tips for lowering your grocery budget? I've read a lot online but I guess I am not implementing them right or not doing enough. We spend way too much for just the two of us, though KC is basically two people in terms of how much he eats lol. Definitely not a total fail! The netgalley one is never easy and that could kind of cancel out the ebooks you bought? lol. Yay for your birthday month and I definitely don't think that should count against your spending for last month either. I try and do the same thing with books - only buy things I know I can't borrow. It's so hard, though - if I love a book, I just want to have it forever! Good luck with your birthday month goals! Ooh yay for your upcoming birthday month! Oh gosh, groceries are so expensive. And I really want to get more into meal planning and prepping so I'm eating better, but healthy food is so expensive. Sigh. Good luck with all of that though! Yay for getting so much read on Netgalley. Do you have an Aldi? I can cut my grocery bill in half when I shop there instead of a bigger store. You did pretty good! No shame in those book deals ;) And I love that polish color!! 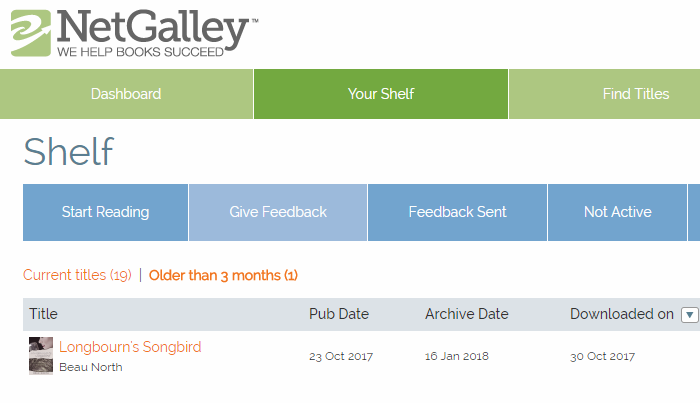 Way to go on reading your Netgalley books! I’m so far behind on them, and try to use book challenges as a way to keep myself on track to read them. And I can’t resist a good deal either which is why I’m loving that you post all the good book deals on your Instagram stories! Ugh, I forgot about the link-up! I did remember to cancel my kindle unlimited because I almost never use it. I'm much more into physical books these days anyway(?). I've just done 2 books on Netgalley - but is there is a time limit you have to get a book read? I really need to meal plan. I've started putting my grocery list in ClickList to see what the prices are at Kroger, then I go to Aldi's to get what I can from there if the prices are better, then on to Kroger to get what I couldn't get at Aldi's. It's a pain and takes too long but I think I save money. Luckily, we have 2 Aldi's and about 5 or 6 Krogers between my work and home. i keep this handy list of freebies you can get around your bday, that might help you save money! i'm p sure i ate for free my entire birthday week. you do have to sign up to join the 'online clubs' for most of these but i have a separate email account i only use for junky things so that was nbd. enjoy! I feel like January was just such a WTF month in general. Happy birthday month & good luck on your goals!! I think you did very well with your no spend January because you are always going to spend money, it is avoiding the mindless or emotional and unnecessary spending that gets people in trouble. And you did that, which is a solid win in my book! Meal planning is tough and I struggled for a long time to get it right. So just keep trying and adjusting and you'll figure it out. Birthday months are the very best and you should absolutely celebrate every chance you get! I tackled a lot of NetGalley books in December and it felt soooooo good. I'm weirdly trying to actually cut back on my overall reading. Looking back, I read a ton but a lot of okay to meh books because I put pressure on myself to read all the time. Now I'm trying to be a bit more selective because I want to read good books, not read for the sake of reading if that makes a lick of sense. Love the fur pic. All the SOFT FUR!! Goals are hard! Especially when books are on sale and you love them! Here’s to a great birthday month!! Yay for birthday month for both of us! Always a good time. I feel like meal planning/grocery shopping lists always are a work in progress. We'll be really good about it for a couple weeks, and then I get burnt out and just want to eat out all the time, lol. So, you're definitely not alone in that department. Have you found anything else good for your skin besides the Clarisonic? Mine is in desperate need of help. Woohoo birthday month! We meal plan and really stick to that at the grocery store (our fridge is always empty at the end of the week) but I feel like we always spend sooo much. I don’t know how to cut our bill especially when we buy mostly fresh produce and meat. Good luck with your goals. Painting your nails should be easy. I love painting my nails. I had acne for 20 years. From the age of 10-30. It seems like my skin cleared up when they put me on birth control. I tried so many things. I'm sure they have a lot of new things out now too. Hope you have a fun birthday month. I am really attacking our food budget hard at the moment and I feel like we're still spending a fortune. I'm am still not figuring out this Australian supermarket situation! I don't remember the last time I painted my nails which now makes me sad because my new project is in a boring stuffy office where I probably can't even paint them. Which of course means now I want to. Sigh. I don't want to talk about the gym either. I just realized I read this post earlier in the week, but forgot to comment. Whomp whomp. I feel like our grocery bills get kind of out of control sometimes as well (even with meal planning). We've been trying to figure out ways to curb some of the spending, but sometimes we just find ourselves out of pretty much everything all at once. We did pretty well in January, I think. I want to say we spent just under $200 on our big trip and then probably another $80 or so on smaller trips to pick up essentials like milk and bananas (which are essential in our house haha). Then we went to Costco this last Thursday and spent over $200 and then had a grocery delivery today that was another $100+. On the upside, we have enough meat in our freezer right now that we won't have to buy any for at least a month and a half. (And meat is expensive!) I feel like those amounts don't sound like a lot, but it probably kind of is for two people. I don't know if I could ever do a true no spend month. I want to, but I feel like I'd drive myself crazy if I did because I'd feel so bad if I spent money on something that wasn't a bill. (And you know that's when you run out of makeup or one of your friends that you haven't spent time with in a while wants to go out or something important to you breaks and you feel like you need a replacement.) I may try it sometime, but probably not any time soon. I've been limiting my book purchases to not at the library books only since I got my library card. It's really helped a lot. My shelves were getting too full, and I was finding that I didn't always like the books I bought. (And so I would obviously never reread them.) In the future, I may get a few books that I love/by authors I love even if they're available at the library (since I know I'll probably read them multiple times) ... But otherwise, I plan to stick to buying books only if I can't get them at my library. Happy birthday month, by the way! :-) You should definitely enjoy yourself without any guilt ... I mean, why not? 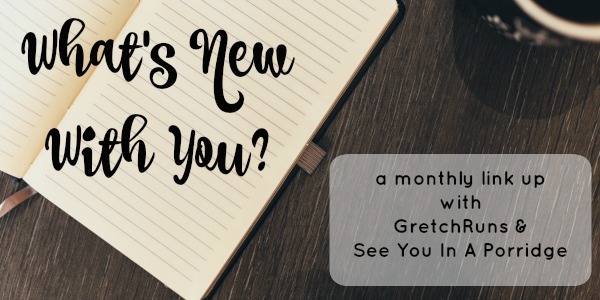 I'm excited to hear about the fun celebration you've been wanting to do for years! Late catching up on this, but I am going to hold you accountable to your nail painting goal!! You'll regret posting this and dread my wrath if you don't paint your nails. That should motivate you. HA!! Always love when you share these - it's vicariously very motivating! I feel like January is the “practice” month of the year because it’s a bit of a weird month - particularly in Australia. 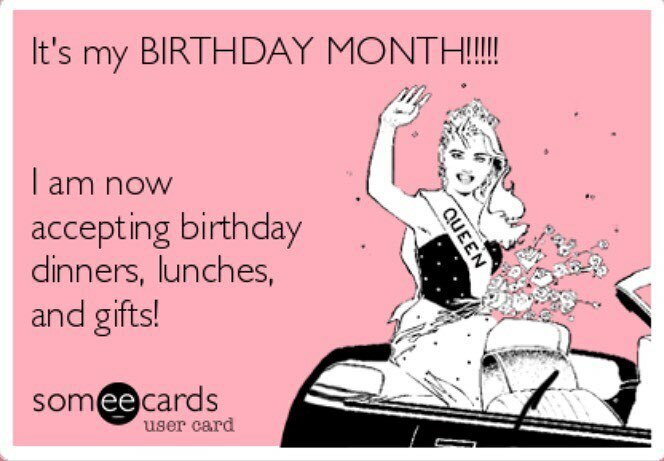 But yay to birthday month!! I can’t wait to find out what you have planned to celebrate it!